Welcome to Nunzio’s Mobile Pizza. 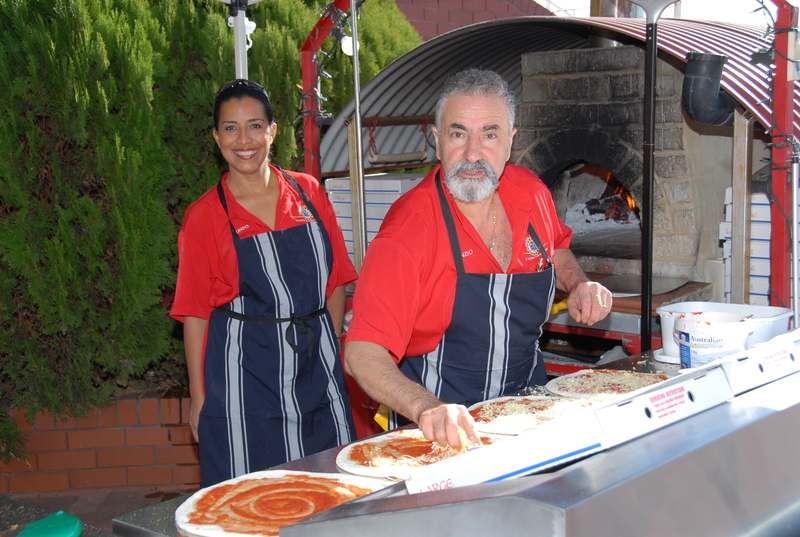 Nunzio’s Mobile Pizza is Perth’s most popular mobile wood-fired pizza oven catering business. Nunzio will bring his mobile wood-fired pizza oven at your location, where he himself (or one of his qualified chefs) will create the some mouth-watering unbeatable pizzas,fresh and hot right out of the oven, in front of you. Nunzio won the world pizza-maker prize and served The Pope. Our Mobile Pizza is a mobile pizzeria, with a Woodstone wood-fired oven contained within a trailer. Corporate Functions, Bucks Parties, Business Promotions, Birthdays Parties, Pizza Parties, Engagements & Weddings, Conferences, Exibitions, Fairs, Festivals, Sporting Events. Special occasion we can cater our pizza’s for you in your own home or business with our mobile wood fired pizza.